The below is the business end of one of the city’s most recognizable industrial products. Like the Stetson hat, the Atwater Kent radio, a Disston saw, or a Cramp’s ship, the trolleys and interurban cars produced by the J.G. Brill Company at 31st and Chestnut and later 62nd and Woodland were some of the most sophisticated and durable pieces of industrial machinery ever to roll off a Philadelphia assembly line. The below car in SEPTA livery, a Brill “Bullet,” #206 was designed in 1931 and is a specimen of industrial design that plied the rails between 69th St. Terminal and Norristown until 1990. Though it was vogue in the 1930s to streamline consumer products — most of which never had to move through air or water quickly — the growing popularity of automobiles and buses meant that Brill Bullet’s design had to get passengers to their destination quicker than other forms of tranport. One of the few successful designs by committee, the Brill Bullet was the brainchild of Thomas Conway, Jr., president of the Philadelphia and Western Railroad who headed a special conference of transit officials, the Presidents Conference Committee (PCC), convened to rekindle the public’s interest in traveling by trolley. The product of that conference, the famous PCC car first ran in 1936 to modest public acclaim but the sleek trolley could not stem systems’ chronic ridership losses. Yet the standardized design that allowed for flexible modifications was immensely popular and thousands were built for systems across the country. The elusive promise that sleek design could save mass transit, however, was captivating and influenced the design of the Brill Bullet. A new interurban car, claimed to be the fastest electric car ever built for commuter service and more modern in design than the most modern bus, made trial runs at Philadelphia last week. It was built by J. G. Brill Co. for Philadelphia & Western Railway and is the first of ten such cars which will run between Philadelphia’s 69th Street station and Norristown at an average speed of 52½ m.p.h., including stops. It seats 52 passengers, costs $30,000. The designers say the car has made 90 m.p.h., will make more. It resembles the fuselage of an airplane, with no protruding wind-resisting parts. The body is aluminum alloy. The centre of gravity is low for safety. Tests showed the streamline construction would afford a power reduction of 17% at 20 m.p.h., 42½% at 90 m.p.h. It was designed by President Thomas Conway Jr. of Philadelphia & Western; Felix Pawlowski, Guggenheim professor of aeronautics at the University of Michigan; and Brill Co. experts. President Conway, meeting competition by Pennsylvania R. R. and Reading Co., expects to beat their time of 36 min. from Norristown to the heart of Philadelphia. He is chairman of a committee of electric railway officials which is spending half a million dollars on research to make electric cars faster, more sightly. Image courtesy of Mike Szilagyi. Interestingly enough, the success and durability of these cars was not a harbinger of good fortune for the company that constructed them. Though the reasons for the company’s premature exit from the transit market are murky, it appears that the Brill Company did not adequately plan for the process of “motorization” or the conversion of electric trolleys to busses and trackless trolleys. Between 1902 and 1921 the Brill Company expanded at a feverish pace, buying up trolley builders and opening satellite companies in France and Canada. But in 1933 Brill posted a $1 million loss and by 1940 Brill had ceased producing trolleys and inaugurated its bus line — well after most other companies. Wrongheadedly the company tried to take on the PCC car with its ill-fated Brilliner but suffered abysmal sales. This precipitous decline is unique yet emblematic of the rapid changes occurring in transit economics in mid-20th century. Brill became ACF-Brill Motors by 1944 and ten years later ACF-Brill was no more. J.G. Brill Company plot, 1942. –The papers of the J.G. Brill Co. are at the Historical Society of Pennsylvania. An online finding aid and an photo gallery are available here. —www.phillytrolley.org and www.world.nycsubway.com have some excellent images of Brill Bullets in action on the P&W or current Route 100 line from the 60s/70s/80. Mike Szilagyi has the best site devoted to PTC/PRT/PSTC/SEPTA light rail/trolley around. 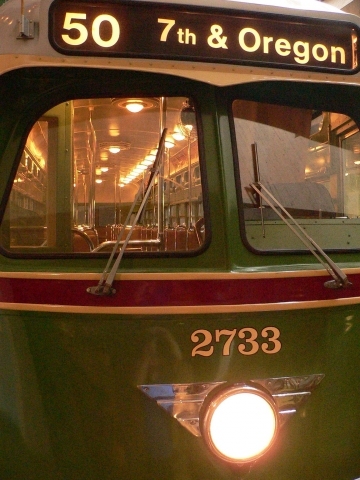 –The image of Brill #206 is from the Electric City Trolley Museum in Scranton which has a good amount of ex-Philly equipment. Interesting post and reflections on a rugged and long-lasting trolley. Sister car #205 is still in service in 2007! The car is part of the operating collection of the Rockhill Trolley Museum in Rockhill Furnace, PA, located about 3 hours west of Philadelphia. This car alone still gives riders the thrill of riding a Brill “Bullet”. I rode these cars many times in my life. But contrary to popular opinion, they are NOT trolleys. They are electric multiple unit passenger cars in the same sense as a Pennsy MP-54 or Reading “Blue” car. They were staffed by RAILROAD personnel, who followed RAILROAD rules and were paid RAILROAD salaries, until 1970. I remember my first ride on one where there was a conductor collecting tickets and a man in civilian clothes up front running the train. The next time there was only a one-man crew who did both run the train and collect fares. I’ve ridden No. 205 at Rockhill and I still miss riding them in regular servie at up to 79 MPH. No. 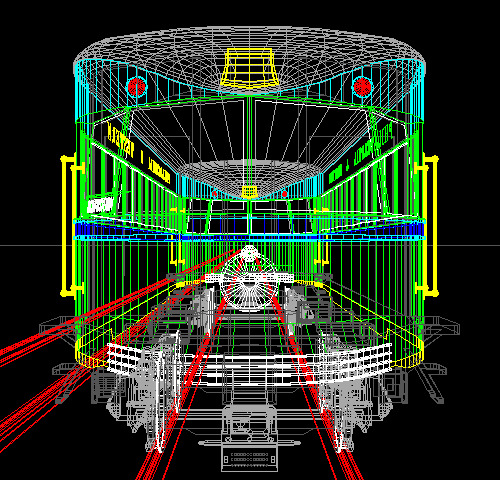 207 was tested at up to 100 MPH with it’s extended wheelbase trucks while trying to find a way to reduce truck “hunting.” These cars were also the first RAILROAD equipment to be tested in a wind tunnel and in that respect they are the very first high-speed “Super” trains; ancestors of the TGV, ICE, Shinkansen, and the Acela Express. 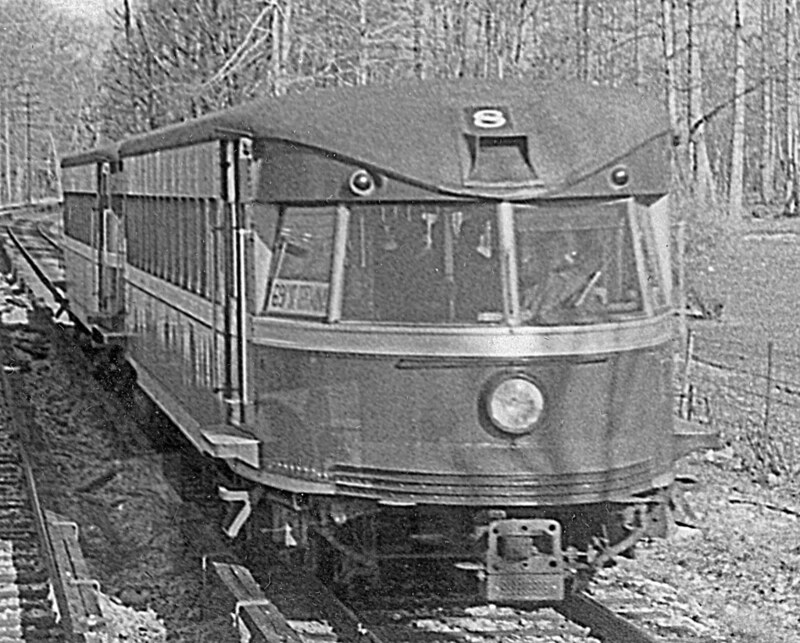 There were sister cars used on the Fonda Johnstown & Gloversville RR which were used more as traditional “streetcars” or trolleys. The proper term here is interurban. It should also be noted that on the Lehigh Valley Transit company right of way from Lansdale north, trolleys operated as locals. 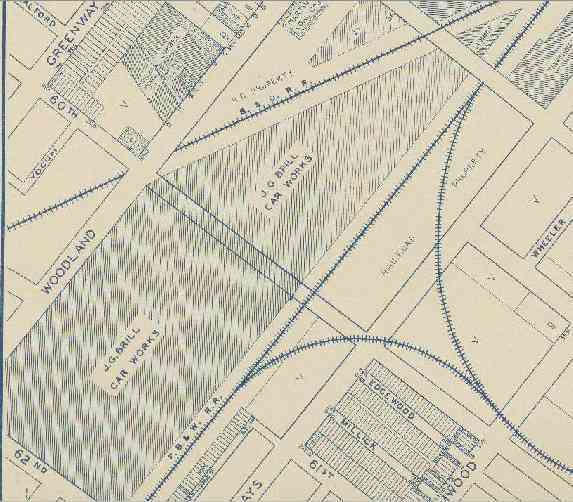 The technical end of this was that the line was originally designed as a “railroad” to compete with the Pennsy mainline. Otherwise it is pure interurban with its own private right of way. It is truly a shame that this design is not reused. I wonder if you could identify any of the locations of my pictures of the Brill Bullet cars I rode on in 1960? This is a great question. I’ll get back to you on this. I rode them in the 60’s they were the fastest ride in town much like the ‘Thunderbolt’ at Willow Grove Park. My father took me on my first bullet car ride at age five. (I was puzzled by the LVT ramp). An exilerating, unforgettable experience. Now 60 years later, I still hold fond memories of these “ahead-of-their-time cars. My cousin and I are working on our family tree thru Ancestry.com and we just learned that my Great Uncle worked on these cars back in 1942. His name was George Raymond Casey. Any information that we can get on him would truly be appreciated.. The Bullets were, indeed, interurbans. “Trolley” refers to the way that streetcars are powered. The wheel riding along the wire is the trolley. In the late summer of 1960, I rode the Philadelphia and Western Ry to experience Interurban travel which had disappeared in most places in the USA by that time. A number of my photos of that day are posted in my Flickr Album. I would appreciate any information people may have about those images as I was lost most of time.